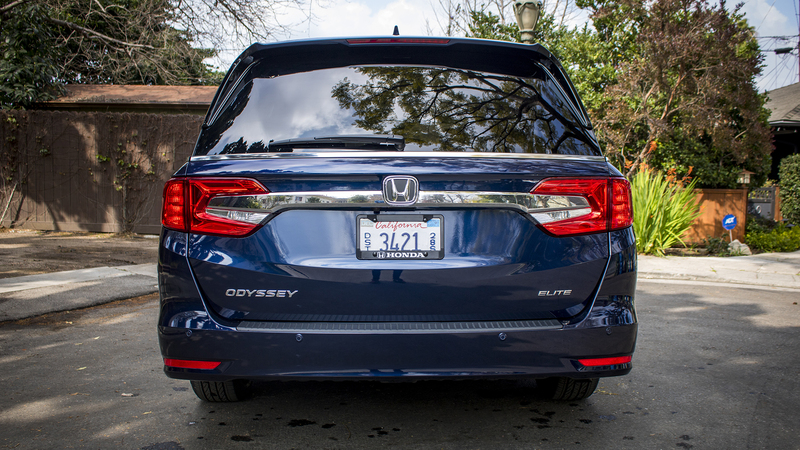 Quick Take: Like mom jeans and dad sneakers, the Honda Odyssey has made the long journey back to cool. 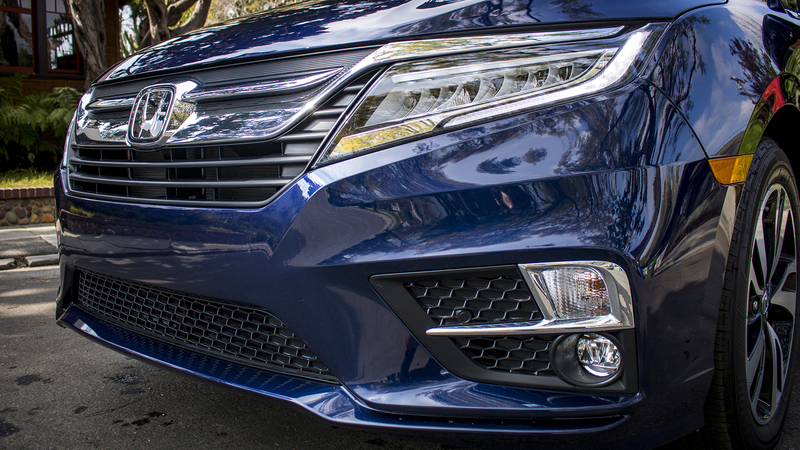 Fitting for its homeric namesake, it's been a long and difficult road for the Honda Odyssey. Minivans in general watched their glorious market share shrivel as crossovers stormed the scene, took everyone's lunch money, and reorganized the place—ironically, the same thing the Dodge Caravan, Plymouth Voyager, and Chrysler Town and Country did to the American market in 1983. The Odyssey is one of the survivors now, part of a dwindling herd that's scrapping for survival. America does trucks. Europe does hatchbacks. And Japan? Japan does minivans. You'd be forgiven for not remembering—outside the Toyota Sienna, Honda Odyssey, and Nissan Quest, the Japanese marques have a long tradition of selling small people-movers in Asia and beyond. They've even got a whole class of uber-luxury minivans like the Nissan Elgrand and the Toyota Alphard, not to mention the off-road buddies like the Mitsubishi Delica. Point being, they know their vans in the Land of the Rising Sun. All that know-how trickled down into the 2019 Honda Odyssey, just in time for minivans to experience a bit of a resurgence in certain corners of the American res publica. This isn't #vanlife—no, it's a recognition that, in a time where everything is huge and excessive and built around delivering the most, the minivan is actually a humble, likable thing, a car that doesn't need to shout about its cargo space or expansive third row because it's always had them. And fresh off a 2018 redesign, the Odyssey gets it done. Unless you need all-wheel-drive. The minivan is a construction designed first and foremost to carry a lot of people in something approaching comfort. So unlike today's crop of three-row family crossovers, where that sixth and seventh seat are more of a gee-whiz bauble than anything else, the interior of the Honda Odysseyis built around making that back row as accessible as the front. 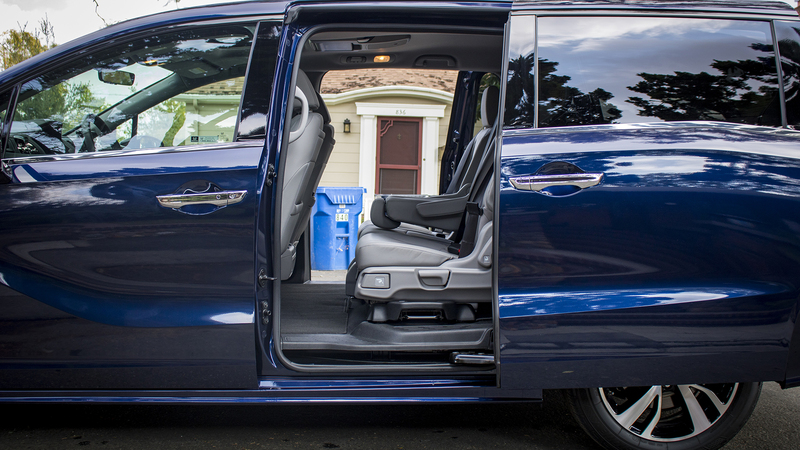 You won't find easier ingress or more legroom in any SUV—and same goes for the usable cargo space that remains with the third row standing. Another area where the Odyssey shines brighter than any crossover (and really any other minivan, though some of these features are showing up elsewhere) is the sheer amount of family-oriented technology and features. 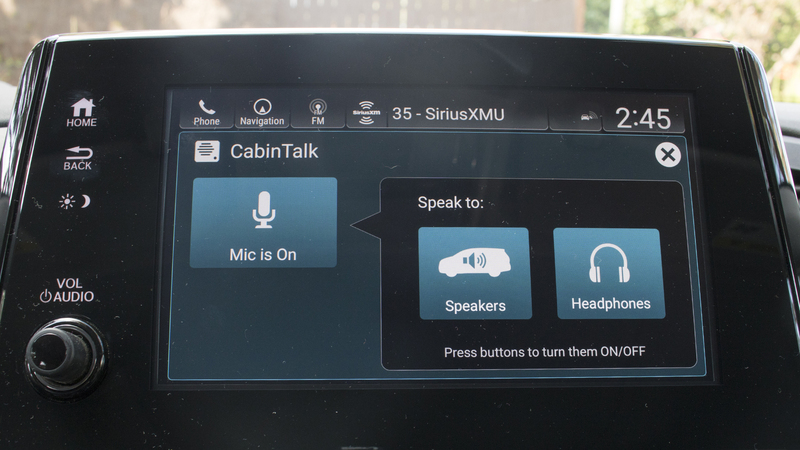 The Cabin Talk system amplifies the driver's voice through the rear speakers—and, critically, the rear-seat wireless headphones—so you can yell without yelling. 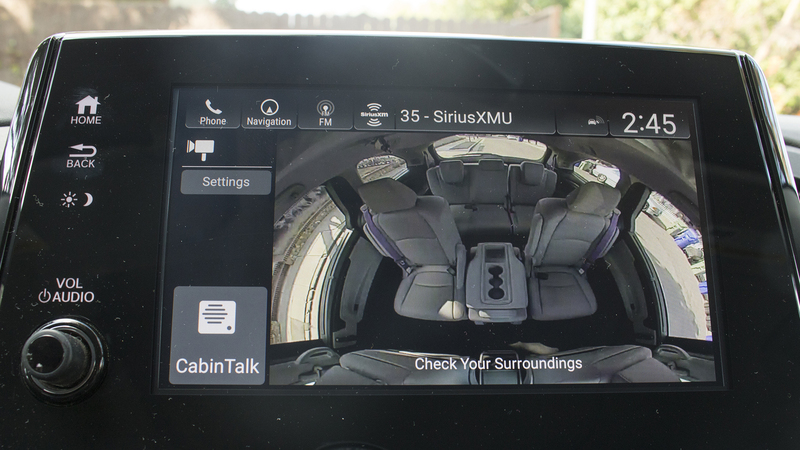 Cabin Watch lets you spy on the back seats via a ceiling mounted camera. Those Magic Slide second-row seats now move laterally as well for better space utilization. Sound deadening foam, acoustic glass, and active noise cancellations limit migraines on the higher trims. And critically, Honda's grouping of active driver safety features is standard on everything but the base model. The Honda Odyssey benefits from a much-improved 8-inch Display Audio infotainment system. 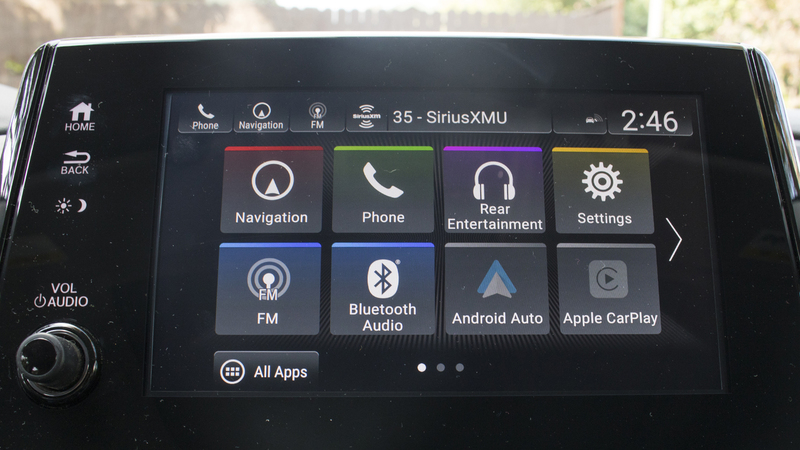 A blessed volume knob headlines the changes—but even those who are content with the steering wheel controls will appreciate the improved graphics and response time on the touchscreen. Apple CarPlay and Android Auto also join those new Cabin Watch and Cabin Talk features, meaning it pretty much covers every base you'd want in a center screen display. It's all very crisp, colorful, and familial-looking. 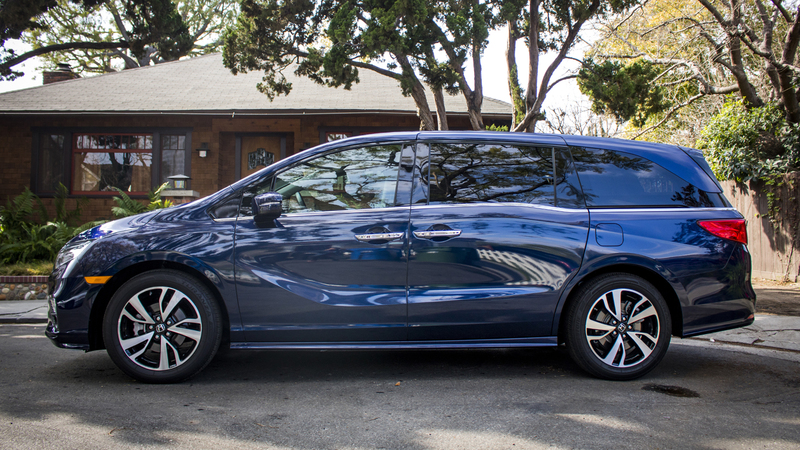 Those accustomed to the wafting feel of a crossover might find the Honda Odyssey too old-school in its driving experience; the first time I stepped on the brake pedal, I was surprised to find over an inch of travel before anything resembling deceleration was felt. 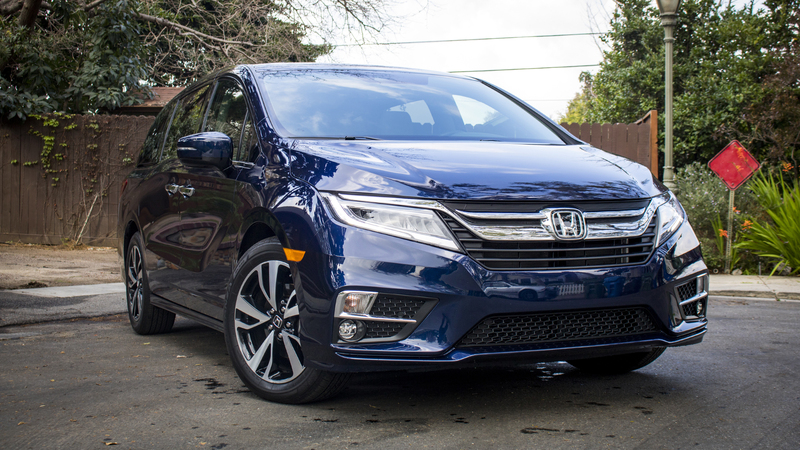 Combined with the more attentive steering and the eager engine, it felt like it required a touch more engagement than something like the Acura RDX, which isn't necessarily a great thing considering most Odyssey drivers will find other drains on their attention during a given trip. And the smart suspension tuning can only do so much. Overall, you feel the road more than in a crossover. The dashboard design features and top and bottom panel meeting halfway in a dramatic overhang that doubles as an ambient light housing and a perfect place for dust, crumbs and other bodily detritus to gather just out of reach. Seriously, the opening isn't big enough to sweep with your finger, but since the bottom panel is piano black, and, you know, it's got a light shining directly on it, you'll see the particle field every time you sit down. You could try to jam a towel up there, but it's never going to be perfect. For a car that's designed to tote around a family to miss such an obvious thing is surprising. In a world where dual-headrest screens have trickled down from luxury SUVs to the Chrysler Pacifica, Honda's decision to stick with a single flip-down 10.5-inch screen on its highest trim is a head-scratcher. 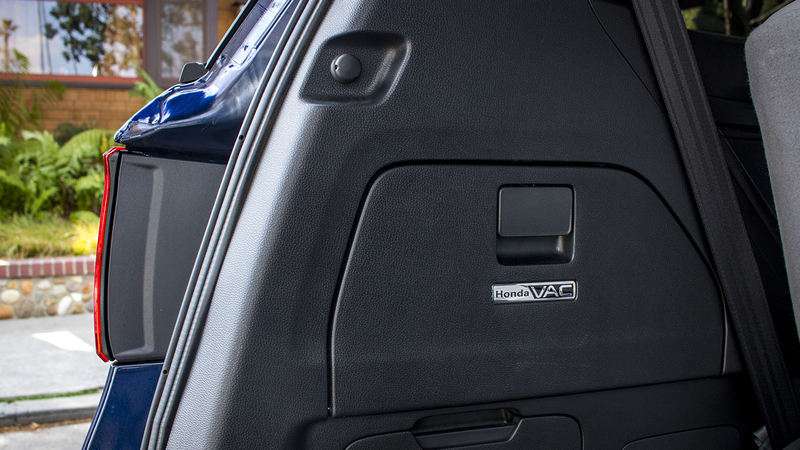 There are other material shortcomings—no panoramic roof is available, there are only three built-in USB ports in the whole van, and heated and ventilated front seats are only available on the Elite trim (forget about that second row). 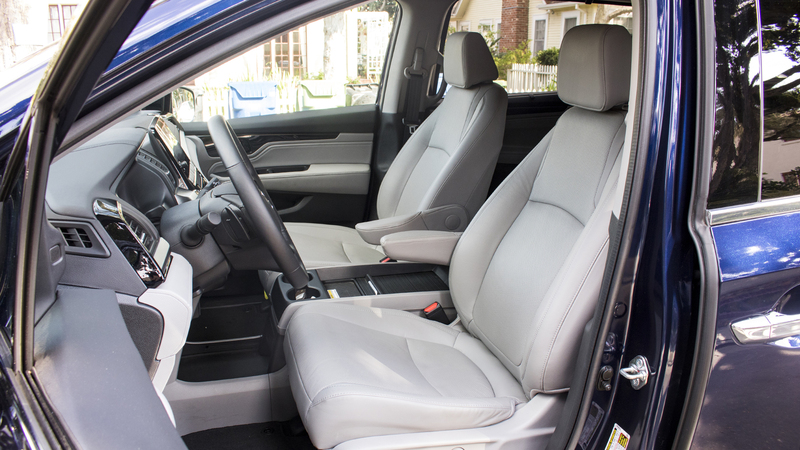 But the biggest miss is the lack of a rival to the Pacifica's Stow-and-Go second-row seats. The Magic Slide getup is a neat trick, but it doesn't have nearly the utility of making those seats disappear into the floor in a single move. Physically pulling the second row out of the Odyssey is a gigantic pain the back(side)—then you're left with stashing it somewhere. The swooping side glass is a little weird and detracts from an otherwise sleek-looking people hauler. Some may quibble with the faux-sportiness of the front bumper and fog light housing. I don't mind it personally, but saying a minivan should stop trying to be something else is a fair argument. City mileage is poor at 19 mpg (call it 15 if you drive like a normal person). Where's the hybrid version, Honda? As a whole and from a strictly financial perspective, minivans present a much better value than nearly any crossover out there. You're not going to find a new three-row crossover worth sitting in below $30,000, and yet that same price range can net you a nicely equipped Dodge Caravan that will be far more comfortable and spacious on the inside. Obviously, the Odyssey starts a tick above $30K, but the point is that a minivan delivers the most bang for your buck when stacked up against equivalent SUVs. 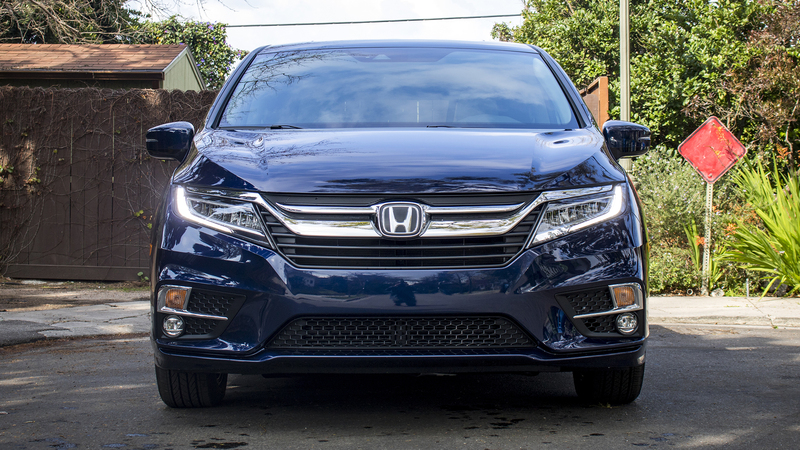 Should you be a regular user of the third row and abundant cargo space that crossovers claim to have, there's really no doubt that a Honda Odyssey will serve you better than any high-riding hooptie. You might not like it better—and that's where the subjective value gets dinged a little bit. Minivans have cycled back around to interesting for some people, but that soccer mom stigma is still hanging in the air over suburban America. As great as the Honda Odyssey is, the creeping existential dread that we all like to joke comes with switching to a minivan is all too real for a lot of people—a still growing number of people, the sinking sales figures suggest. For them, the Odyssey will never end up home. And so the odyssey is complete. Here is your Penelope, a recognition that after all those ungainly and ill-suited CUV callers, the one thing you've only ever needed is before you: A functional and fun minivan that won't leave you feeling dead. The 2019 Honda Odyssey cool, even if your kids might not agree.